Many drivers feel that they are the exceptions to the rule when it comes to speeding - until, that is, they are involved in accidents that prove there are no exceptions to the rule. Ultimately, speed limits are established for the protection of all drivers based on the approximate maximum speed that road conditions will safely allow. When drivers break those speed limits, they put not only their own lives at risk, but the lives of every other driver with whom they are sharing the road. At the law firm of Worby Groner Edelman LLP in White Plains, auto accidents caused by speeding send an unfortunate number of victims our way in search of justice. Speeding is one of the most common causes of serious auto accidents, injuring and claiming the lives of hundreds of thousands of victims each year. 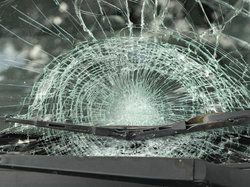 If you have been injured in an accident caused by someone else’s speeding, or if a member of your family has been injured or killed in such an accident, the personal injury attorneys of Worby Groner Edelman, LLP, can represent you in your pursuit of the compensation to which you are entitled. Currently, the maximum speed limit on any New York road is 65 miles per hour. This speed limit applies only to stretches of controlled access highways, and is clearly posted. On other roads, speed limits are clearly posted and generally range between 20 miles per hour (school zones) and 55 miles per hour. While all instances of exceeding the posted speed limit are considered speeding, speeding also comprises instances of driving at an unsafe rate for the conditions. Therefore, someone who is traveling at the speed limit on an icy road could possibly be cited for speeding. A good rule of thumb is to travel with the flow of traffic, as long as the flow of traffic is not exceeding the speed limit. In our own Westchester County, there were 14,022 reported auto accidents in 2012. Of these, 5,392 resulted in injury while 34 resulted in death. In 13.3 percent of these accidents, unsafe speed was a contributing factor. To put this number in perspective, alcohol consumption was a contributing factor in just 3.2 percent of the accidents. Make no mistake about it: speeding is extraordinarily dangerous. Our auto accident attorneys handle the full range of car, truck, motorcycle, bicycle, and pedestrian accident cases, and would be pleased to advise you of your legal rights and options if you have been involved in such an accident. Please contact our law office today to arrange for an evaluation of your case.